Paul Gauguin Cruises, which operates two luxury cruise ships, in July won the World’s Best Award for small ships from Travel+Leisure magazine, a prestigious honor for a relatively tiny line. So we caught up with the company president, Diane Moore, to find out what they are doing right at Paul Gauguin Cruises. Paul Gauguin Cruises just won the Travel + Leisure World’s Best Award for small ships. To what do you attribute this honor? What are the practices and policies in place that make guests so happy? We were honored and thrilled to receive the awards for “#1 Small-Ship Cruise Line” and “#1 Small-Ship Cruise Line for Families” from the readers of Travel+Leisure in the World’s Best Awards. We are dedicated to exceeding our guests’ expectations, making sure they have the most memorable, authentic and enriching travel experience possible. We operate with a culture of excellence and dedication to superior service distinguished by true Polynesian hospitality. We invest heavily in our staff and in our ships. Our greatest source of inspiration is from our guests and the travel agent community, and we gladly welcome feedback to see if there is anything we can do better for them. The company is celebrating its fifth anniversary, but it seems like the ship has been around for longer than that. Can you explain? Pacific Beachcomber S.C., our parent company, expanded into the luxury, small-ship cruise industry five years ago by acquiring the Paul Gauguin from Regent Seven Seas Cruises and the Tere Moana (formerly Le Levant) from Compagnie du Ponant in 2012. Pacific Beachcomber also operates seven hotels, including InterContinental resorts on Tahiti, Bora Bora and Moorea, and Maitai properties on Bora Bora, Rangiroa and Huahine. The company also just launched The Brando, a new luxury resort on the late Marlon Brando’s private island of Tetiaroa, 30 miles north of Tahiti. Since our company took delivery of the Paul Gauguin in 2009, we have completed two multimillion-dollar refurbishments on the ship. Luxury lines aren’t always noted for family activities. Why did your company win the award for best small-ship line for families? During the summer months and December holidays, we offer our Ambassadors of the Environment Youth Program, which was created by renowned oceanographer Jean-Michel Cousteau and the Ocean Futures Society. It introduces young travelers to the natural wonders of French Polynesia through hands-on, interactive learning. Young Ambassadors (ages 9-17) explore coral reefs, hike rainforest trails, and visit ancient Polynesian temples. They learn how black pearls and vanilla are cultivated, how volcanic islands become coral atolls, how to paddle an outrigger canoe and the importance of maintaining the ocean’s marine and island ecosystems. Parents are encouraged to join children on eco-excursions and other activities. 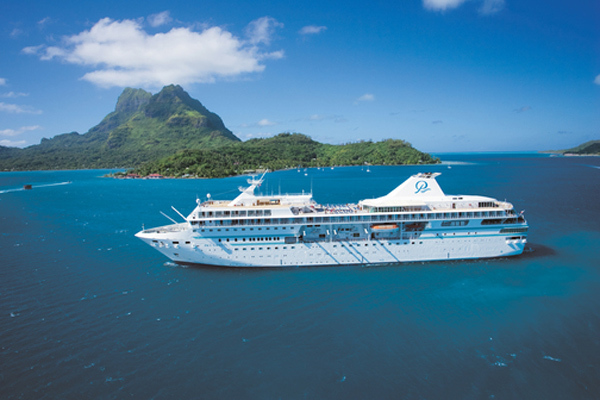 Paul Gauguin Cruises is sailing farther afield these days, to places such as Fiji and Australia. Why do that and how are those itineraries being received? We typically cruise to Fiji from Tahiti on 12-night “Fiji, Tonga, Cook & Society Islands” sailings every other year. This year, we offered that itinerary, along with 11- and 12-night “Fiji & Australia” voyages and 14-night “Southeast Asia & Australia” voyages. There was great interest from our guests in these new voyages. We also appealed to a different audience who were specifically interested in these itineraries. Because of the demand for these cruises, we may offer them again in 2016 or beyond. PHOTO: Paul Gauguin sails to Fiji and Australia in addition to Tahiti. 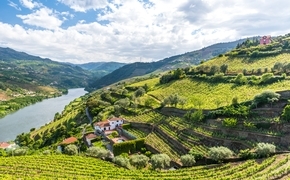 You seem to be planning more theme cruises on topics such as photography or with special guest experts on food and wine. Is this what your guests are looking for these days, enrichment as well as relaxation? On the Paul Gauguin, we have a full enrichment program on every voyage that includes local anthropologists and marine biologists. In addition, we have been increasing the number of special experts in photography, the culinary arts, wine, marine biology, entertainment, history and fine art. One of our most popular experts is Jean-Michel Cousteau, who shares his passion for the ocean and accompanies several scuba dives on four voyages each year. Jean-Pierre Vigato, of the Michelin-rated Restaurant Apicius in Paris — whose award-winning cuisine is featured in our restaurants — also joins the ship once a year for lectures and culinary demonstrations. The Tere Moana attracts mostly charter and incentive groups due to its 88-passenger size. How is it performing and how often can individuals book a cabin? 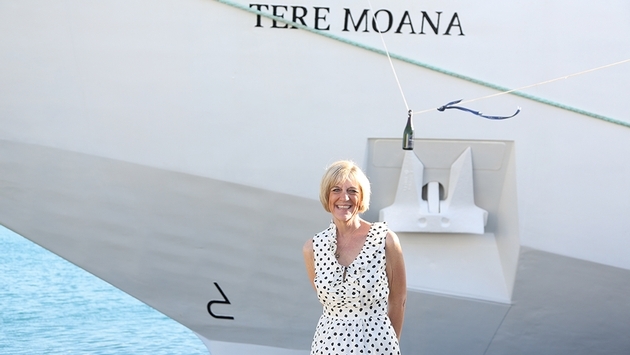 The Tere Moana has been a great addition to our fleet. The luxurious and intimate Moana really immerses our guests in the destinations we sail to in Europe, the Caribbean and Latin America. The onboard experience really feels like you are cruising to some of the most spectacular places in the world with friends. We try and source as much local produce as possible for use in our dining venues from local vendors, and bring on local musicians and entertainers to enhance the experience. Due to its popularity, especially with the charter, incentive, affinity and private groups market, we are almost completely sold out already for 2015. However, there are a few sailings still available in Europe during the summer and Latin America during the winter. Are you planning any further expansion? We are always considering future opportunities and ways to further expand the Paul Gauguin Cruises brand.